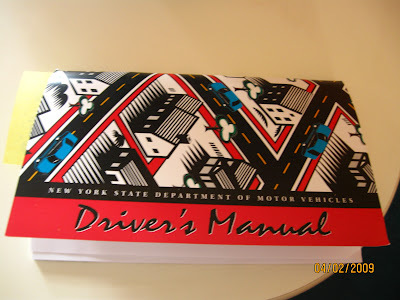 Yup, since I am so eager to learn how to drive and get my own driver's license soon. This is the current manual/book I am reading right now. I make sure that I make things easy and not in a rush ways, that way I won't forget and will be able to learn the rules and regulation of being a good driver and a law abiding citizen. This isn't like Philippines that you can get a driver's license even if you don't undergo the test and the actual driving test. That's why I have to make sure that once I applied for the driver's license, I have enough knowledge in cars and on the traffic rules.